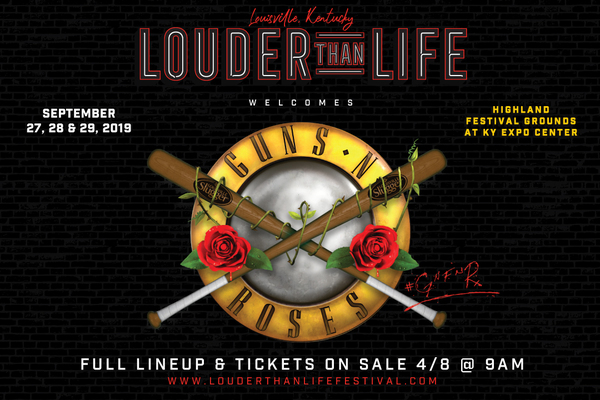 GN'R just announced their first performance for 2019 will be at the Louder than Life Festival at Highland Festival Grounds at KY Expo Center in Lousiville, KY! GN'R will be performing on Saturday, September 28th. Get on the Nightrain for first shot at tickets beginning TODAY, APRIL 4 at 9 AM local time.